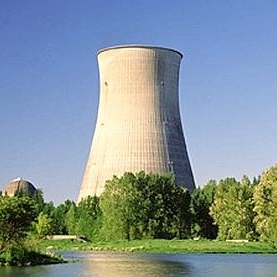 Last month, a speech on the future of nuclear energy at the International Atomic Energy Agency stated that the amount of nuclear plants worldwide is due to rise by 60 percent by 2030. This would bring the amount of nuclear reactors to around 700, a figures that has to be compared to the current 435 according to the World Nuclear Association. The majority of this increase in demand will occur in Asia (notably China and India) as well as in the Middle East, Africa and South America. The number of nuclear power reactors around the globe is estimated to increase up to 60% by 2030, said Mr. Yury A. Sokolov, Head of the Department of Nuclear Energy and Deputy Director General of the IAEA, at an industry event in Korea. He also remarked that the experience gained over the past decades in energy planning for sustainable development, as well as in the construction, commissioning, operation and maintenance of nuclear power plants will be crucial to help newcomers in the nuclear field. “The way in which nuclear power has developed in Korea is a clear demonstration of how the challenges can become opportunities,” he said. Additional valuable data can be found in the full speech which is available there. In any case, be sure that I will keep you posted on the nuclear energy market worldwide. So for this and for much more, stay tuned !